The 2015 season has started and it couldn’t have started any better with the Tarawera 100k, which was simply stunning. My main goal for this year is to complete the Centurion Running Grand Slam in the UK, which is a series of four 100-miles races between May and Oct. 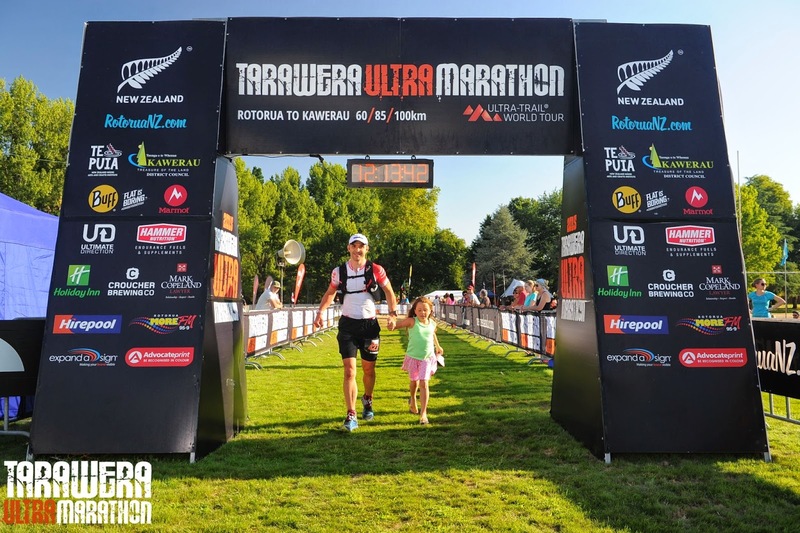 When planning my racing calendar last year, I wanted races that would help me achieve my main goal, and with an extended holiday to New Zealand booked the Tarawera 100k seemed to fit the bill. 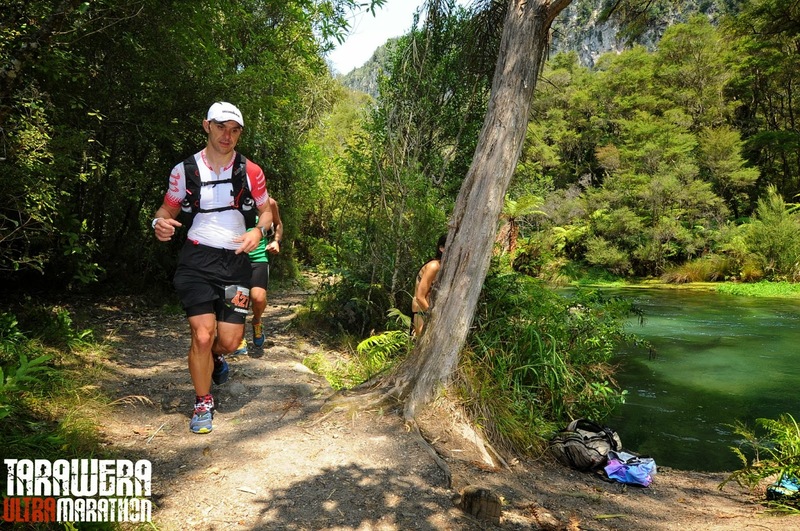 The Tarawera 100k is an ultramarathon race, that starts in Rotorua in the north island of New Zealand and runs through beautiful trails to Kawerau, it has approximately 8500ft of elevation with a mixture of single tracks, wider trail tracks, narrow and wide forestry and very little road running. Since resuming training in late October, my priority had been to run off road and cover lots of hills and I had a really good two months in November and December with consistent swimming, biking and running. I arrived in New Zealand with four weeks to go to the Tarawera Ultra and in good shape. Although I have missed my bike badly in New Zealand, I have had plenty of time and space to swim in the local pool and run in the beautiful Port Hills in Christchurch. One of the things I always do at home is to look after my feet. I regularly apply moisturiser 3/4 times a week before bedtime. Since arriving in NZ I failed to do that, even though I had packed it with me. Doh! Then we spent a few days by the beach in Queensland where I walked barefoot regularly in the hot sand. 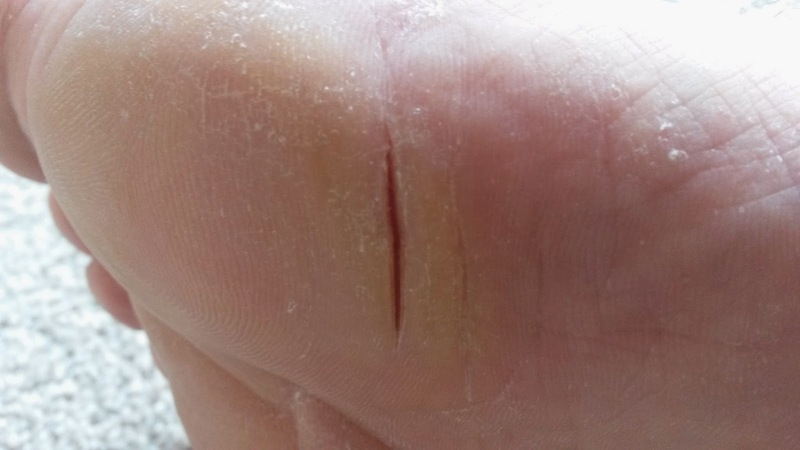 I didn’t notice anything until the Wednesday prior to the race, when I was walking in flip-flops and I felt a pinch every time I landed my right foot on the ground, I checked and found a crack just under the ball of the foot. I felt sick. The thought of a DNS or DNF changed my mood immediately. For the next 48 hours I applied two types of feet moisturiser every 2 to 3 hours and wore a sock over it. I even got my wife to rub a bit of coconut oil before bedtime. With each sleep it seemed a lot better but it wasn’t until the day before the race when I did a very short test run without any issues that I relaxed. Time went by very quickly and before long I was standing in the start line just a little after 5:30am. The atmosphere was fantastic in the dark woods and the hundreds of lit head torches turn it into a magnificent sight. I decided to position myself closer to the front to avoid the traffic during the first few miles after noticing the amount of narrow single tracks in the route description. Six o’clock came around quickly and soon I got into a nice rhythm with my run. My strategy was the same I had practiced in training during the last few months, run steady on the flat, run hard downhill and walk uphill. As the miles ticked I noticed that I passed the same runners downhill only to be overtaken uphill. I was having a great time and blown away by the beauty of the nature around me. I encountered my first bad patch around mile 30 or so (50K), I recollect a short section of around 5k where the trails became very difficult to run (even going downhill), it was quite tight with lots of big pointy rocks and roots, despite running next to a beautiful lake you just couldn’t afford to take your eyes off the trail, mentally it become tough, you moved but you didn’t get very far. I don’t know how long it took to get through this section but it felt like eternity. Once I passed this area I gained confidence again and started running well but that didn’t last long as a tripped over a root and fell flat faced on the ground hitting my shoulder hard on a pointy rock and also cutting my hand and grazing my left thigh. Arrrggghhh! Luckily I wasn’t far off an aid-station, upon arrival I quickly found the big icy water bucket and cleaned myself with a sponge and felt good to go again. Nutrition went pretty well too, being metabolic efficient meant I roughly ate every hour, during the first 6 or so hours I enjoyed eating salted almonds and cashew, some crisps, dried fruits and some fresh strawberries as well as drinking water and taking salt sticks. Km 60 was a turning point for me, you do get tired of concentrating on the trails and from that point we were mostly running on wider less technical forestry roads which was a nice welcome at that stage. The weather warmed up a bit too and I no longer fancied chewing solid food and switched to drinking coca-cola, ginger beer with the odd bite of a Nakd bar. The organisers were very generous with the amount of aid stations and my favourite bit was dipping my baseball cap in the icy water buckets as well cleaning my face and neck with the sponges, it was just bliss. A twelve hour finish had been on my radar throughout the race and during those last few miles I was doing the best I could to achieve that. My first ultra in 2012 wasn’t an actual race, just a 100k route I planned and completed with friends, that day it took us 12:54 and no doubt I had plans to beat that in New Zealand. Doing calculations in your head during ultras becomes harder and harder as you get tired, I normally try think in terms of miles covered in an hour then minutes per mile. I remembered arriving at one of the last aid stations thinking/relying on my Garmin that there was roughly 8k left and was told that it was 10.9k to the finish. I knew then that sub12 was no longer possible and just relaxed and thought to myself, just enjoy the rest of the race, PB is guaranteed anyway. It was lovely reaching the finish line and spotting my friends Dan with son Campbell and Tim who had been great company and laugh throughout the weekend and then crossing the finish line with my eldest daughter Bella. Finish time was a 41min PB with 12h13 in 107th. 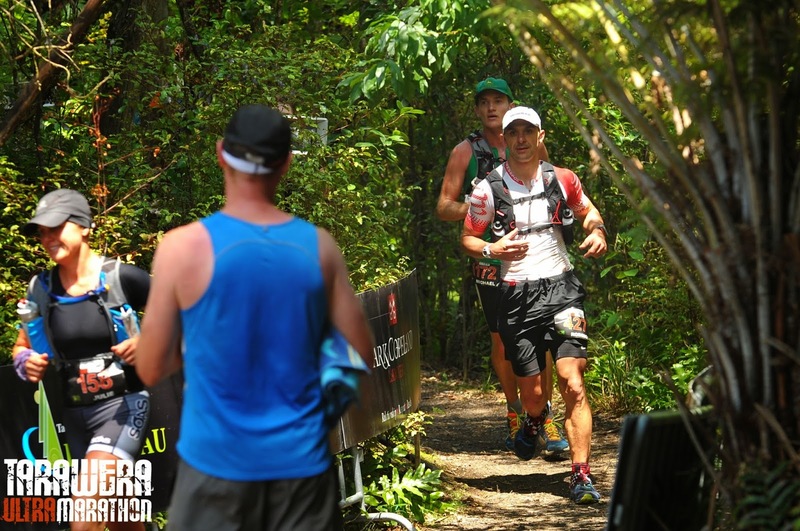 What can I say about the Tarawera 100k? Beautiful trails, a generous number of well stocked aid stations, immaculate organisation and one that ultrarunners should put on their bucket list. If you’re coming from overseas and worry about getting lost on the trail like I did, just don’t, it’s incredibly well marked and the majority of the course is on single tracks. With over 500 people doing the 100k you won’t be running alone either. Next for me now is the Motatapu off-road marathon in Wanaka early in March prior to return to the United Kingdom. The trails were just amazing. We got a great day for it too.